Though you don’t often equate Washington State with surfing, the waters around the Olympic Peninsula actually contain a few gnarly surfing locations and the sport is growing in popularity with young folks in the area. 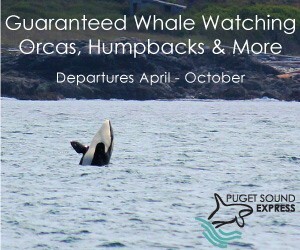 Day trips, packages and customized outdoor adventure tours. Caving, kayaking, skiing, surfing, tree-top adventures and zip-lining. Door-to-door service. The authority in boarding sports. Stop by this surf, snowboard and skate shop to rent gear for the day or take home a new board. This surf and skate shop in Forks, WA stocks only the best in surfboards, wetsuits and skateboards. Where should I go surfing near Olympic National Park? Suitable for surfers of all experience levels, La Push – not far from the town of Forks – is one of the most popular surfing areas on the Peninsula, attracting a ton of surfers on summer weekends. In this spot where the Quillayute River meets the Pacific, the surf is reliable though the winds sometimes make it tough to stay upright. Local experts say the best La Push surfing is at mid-tide. There have been shark sightings, so be vigilant. Also watch for rip tides. Seasons: Summer is optimal but surfing generally continues into the fall and winter months. If you’re thinking about surfing La Push during the summer and don’t like crowds, aim for a weekday, when you’ll pretty much be on your own. Surf aficionados hold their annual Surf Frolic in January, when the waves often reach 5 to 7 feet but winter surfing here should be limited to experienced surfers. Directions: From Port Angeles, take Highway 101 west for about 54 miles. Turn right on La Push Road and follow for 14 miles to reach the beach. 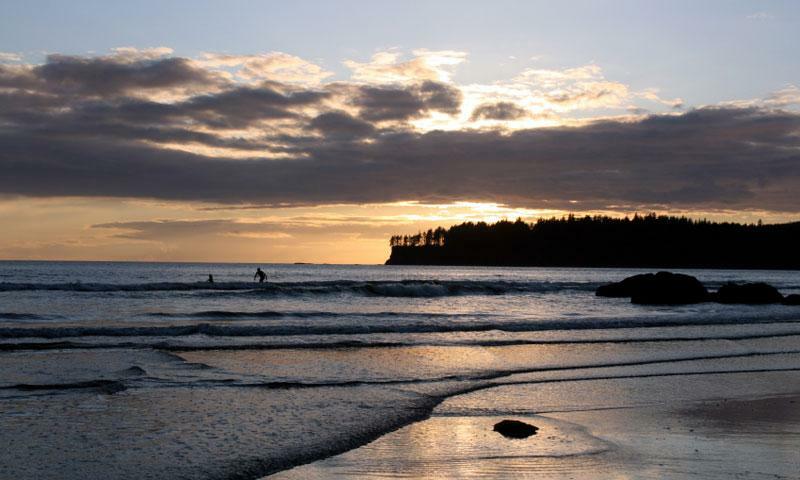 Perfect for experienced surfers who want a real challenge, the waters of the Neah Bay beaches produce swells that sometimes reach up to 15 feet or more. Locals say the waves here are very consistent, offering good rides about 150 days each year. Best surfed at mid-tide, Neah Bay can be quite dangerous due to regular rip tides and a very rocky bottom. Be prepared to make the long walk from the trailhead to the beach, which can be tough on you and your board. Seasons: Autumn and winter are the best times of the year to surf Neah Bay. The conditions are best when offshore winds are coming from the south and the groundswells from the northwest. Directions: From Port Angeles, take Highway 101 West to WA-112 (about 6.5 miles). Follow WA-112 for approximately 65 miles to Neah Bay.